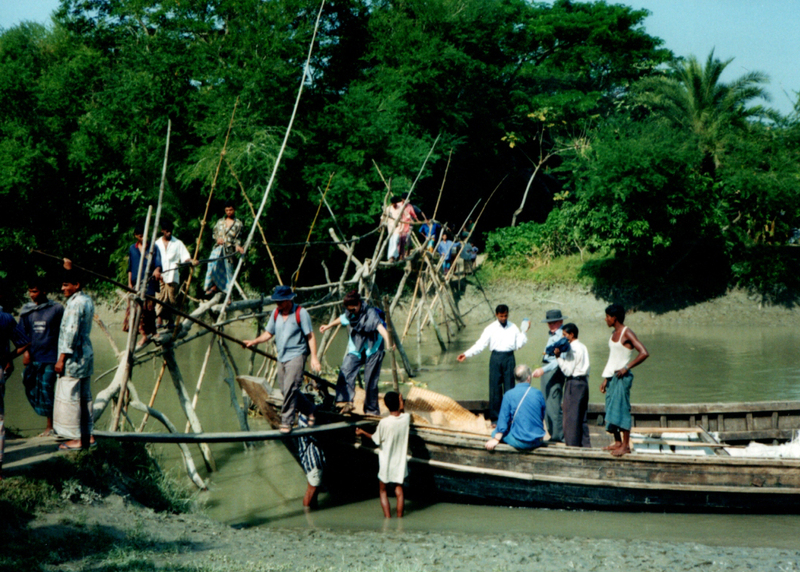 So, we had one full day in Dhaka, and the next day it was time to take the ferry south to Bhola Island. 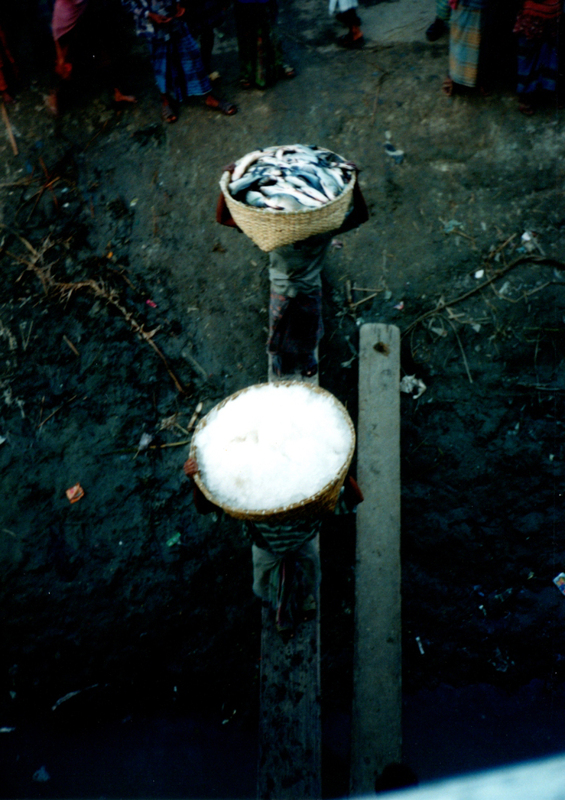 We got up to a few things on that day – more on those on the Dhaka post coming in a couple of weeks. 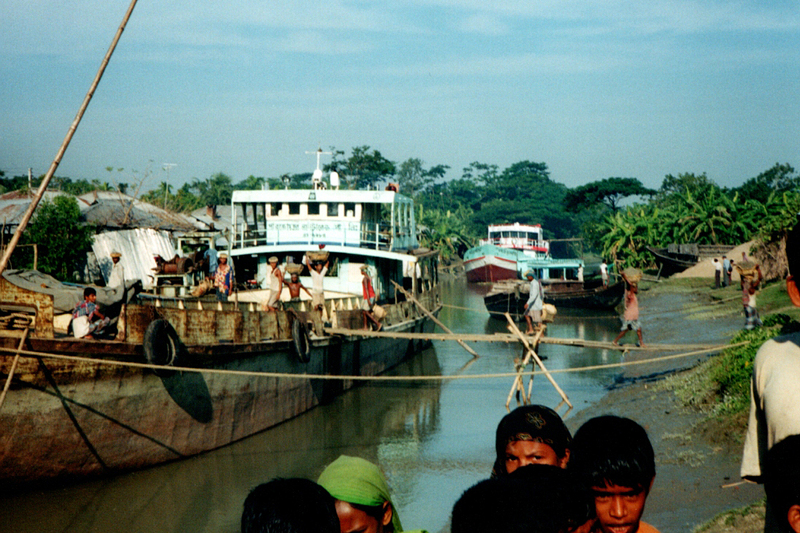 But it was to Bhola we headed on the craziest ferry ride I’ve ever taken. 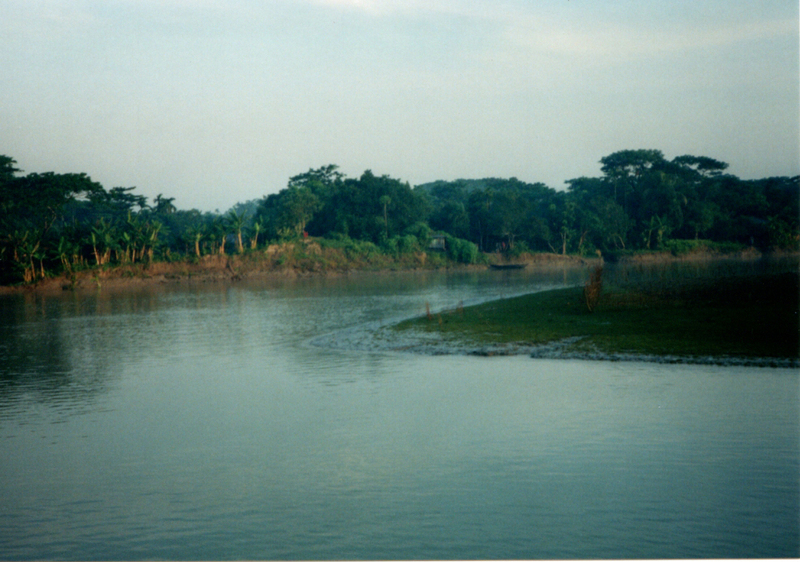 Bhola was described to us, or should I say ‘built up’, as one of the poorest places on Earth. Honestly, I’m not sure why anyone would want to boast that they’d been to a place because it was so ‘poor’, but I guess it’s the way some look at the world. 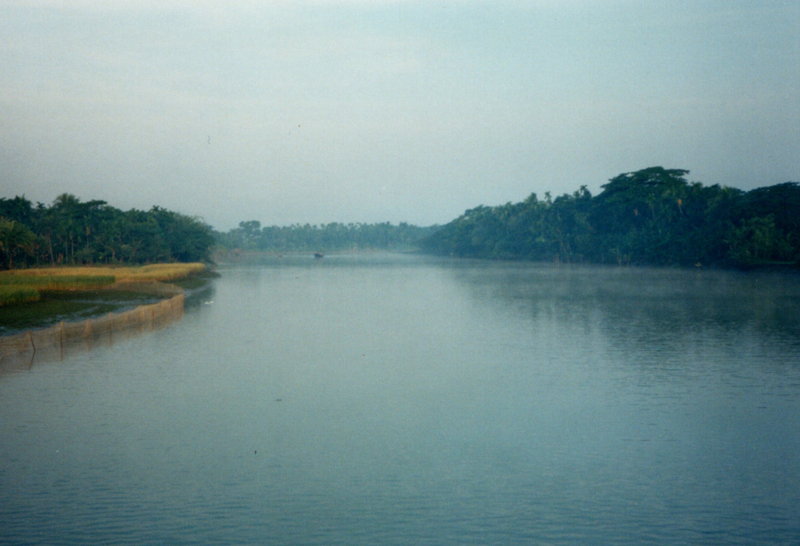 We are talking about the biggest island in Bangladesh. And we are talking about a place that floods, regularly and almost completely at times. 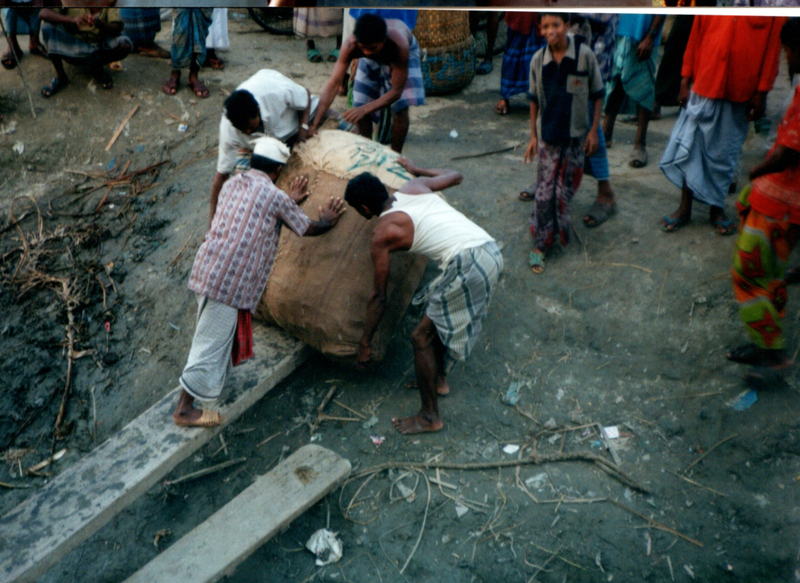 Bangladesh itself experiences severe weather and floods in the wet season (we were there in November-December so that was the dry season) and its people are amazing in their resilience and their ability to rebuild and carry on. Bhola Island had I believe suffered total devastation a couple of years before we visited. Yet here we were on this old ferry heading there to see what life was like. The ferry was old and rusted and very big – we had sleeping cabins. Mine was a single and it was basically an old cupboard. It was not clean, and there were definitely vermin around. Fish being loaded onto the ferry. Some of our group on the ferry. Crowds waited for the ferry to arrive. However, on deck it was a bit of a party with all the people who didn’t have cabins cooking and singing as the sun went down. 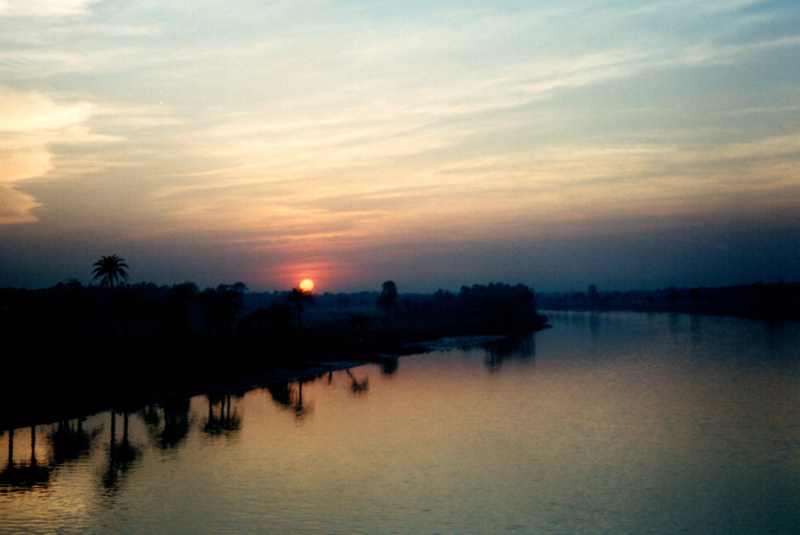 We were in Bangladesh in Ramadan so when the sun went down everyone would eat and eat big as they couldn’t eat during daylight hours. 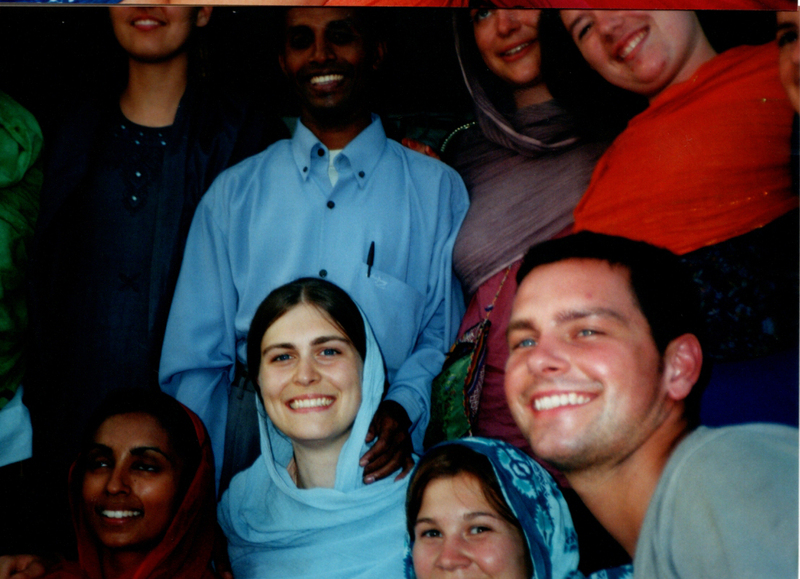 We joined in and felt very blessed to be where we were. At night, in the wee hours of the morning, I was half asleep when I heard a thud! The ferry rocked and steadied. Then again THUD! What the? I was ready to swim for it. Although the river was extremely wide and I’d have no idea which direction to swim. 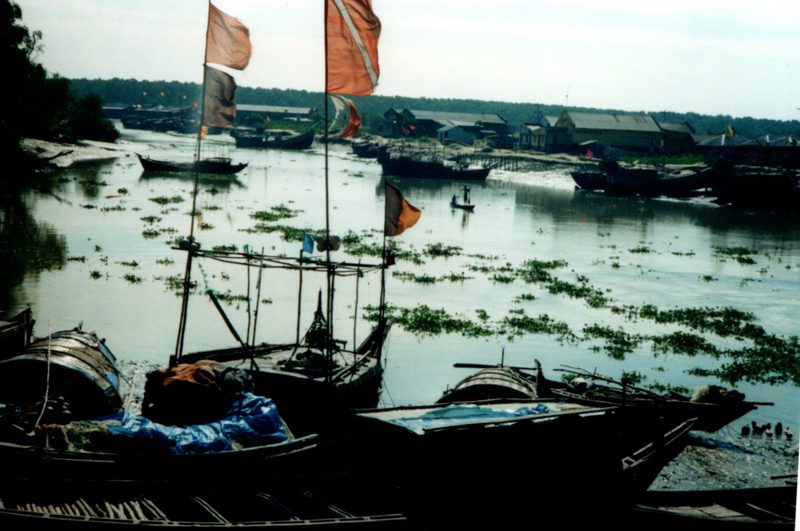 It turned out that it’s actually common – two ferries jostling for position on a narrower stretch of the river. Loading the ferry. Tough work. 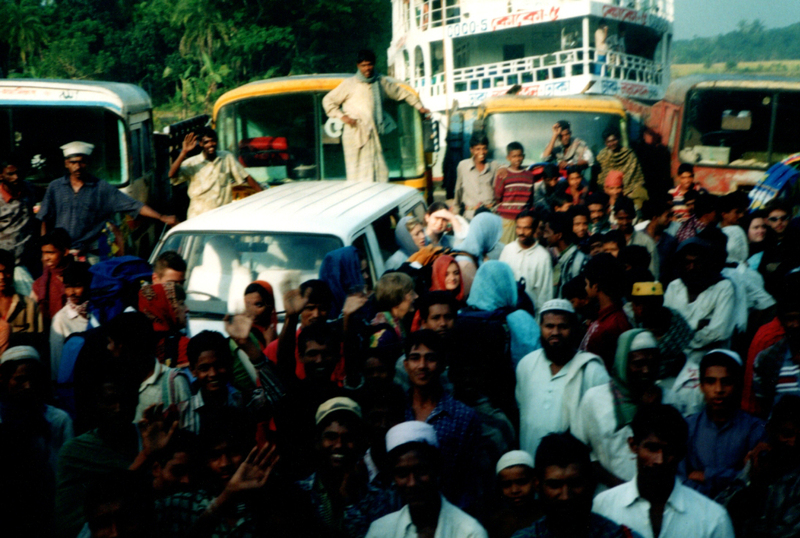 At Bhola Island there were crowds to greet us as we got off the boat. Bhola Island very rarely has visitors from other countries, and as through much of Bangladesh we were made to feel like mini-celebrities. 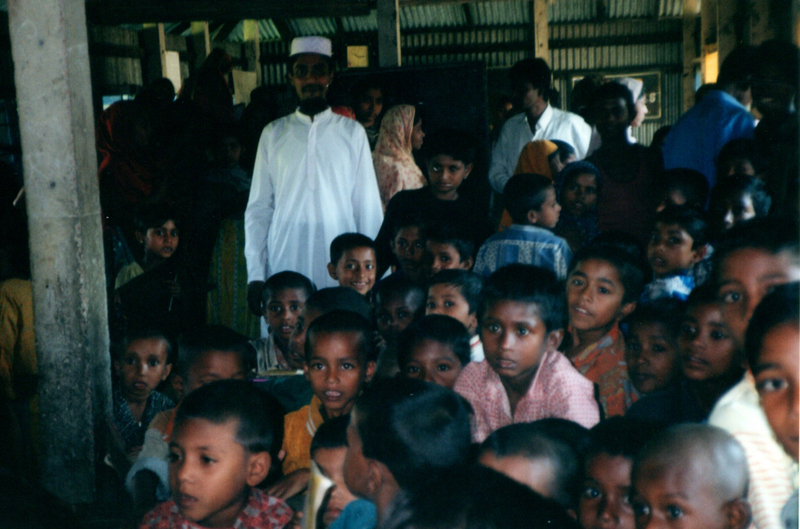 My photos from Bangladesh are so full of so many people. Entertaining the kids with umm…. chalk art? Kids at school listen intently. 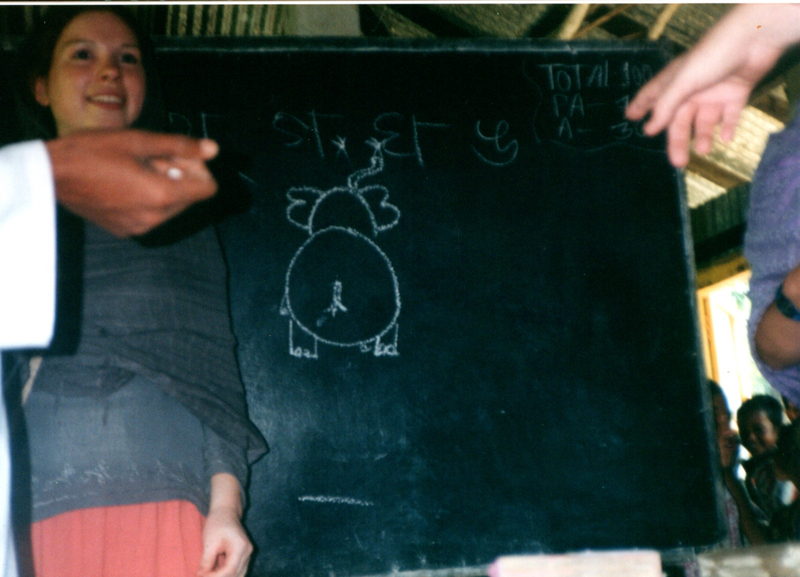 What did we do on Bhola Island? Well, we visited a few schools and learnt about development in the region. We talked to the students a little about Australia and ourselves, and some of us sang a few songs. The children did the same for us. I can’t remember specific experiences or names of places of people. I know that at least one or two of the schools would have funding from Australia. We were told that our visit meant so much to the people we met because they had so few visitors it was like the world had forgotten them. I don’t know – was that to make us feel okay about visiting such a place? 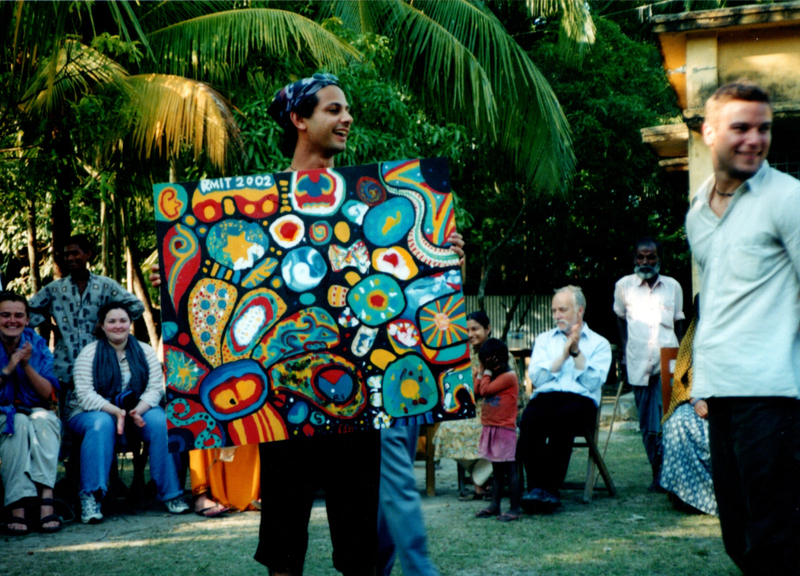 A painting we presented as a group to a school (I think) on Bhola Island. Believe it or believe it not, that’s me at the back! Today as an older person I wonder about international development and its possible NEGATIVE impact on the people it’s supposed to help. What are the payoffs for the countries that fund it? Where does aid money really go and what hoops do ‘poorer’ countries have to jump through to get funds? They are not the countries that run the world’s finances. 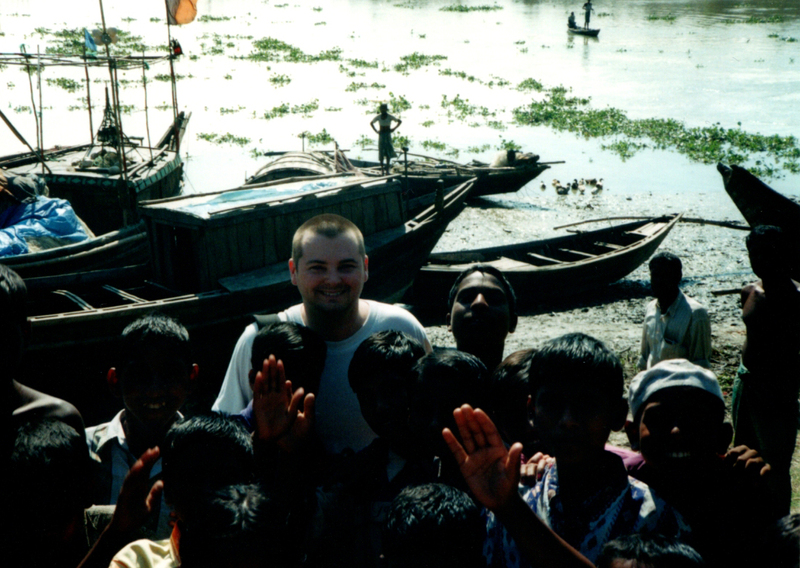 BUT I do remember that the people of Bhola Island were warm, always with a smile, kind and welcoming. The children LOVED school. Far more than any child in Australia. Hopefully my photos tell a story. Thanks. May the Journey Never End!